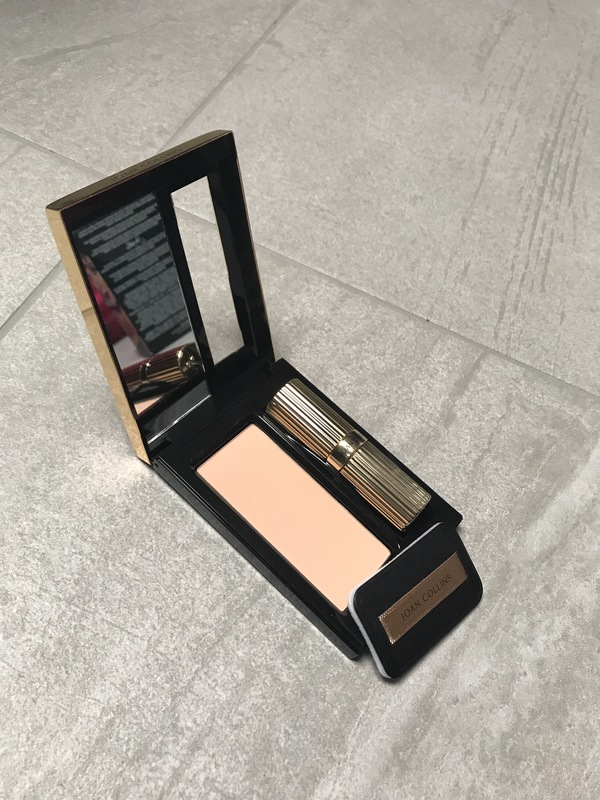 A month or so ago the lovely Alex Silver PR gals got in contact about the Joan Collins timeless beauty compact duo. Until this point I must admit I had been a Joan Collins beauty product virgin and wasn’t even very aware of the brand. I received a sample a few days later to try and have been using it ever since, here is my verdict! Firstly let’s talk about how attractive the packaging is, shall we?! The compact is gold and really sturdy with a handy mirror inside for those all important touch ups. 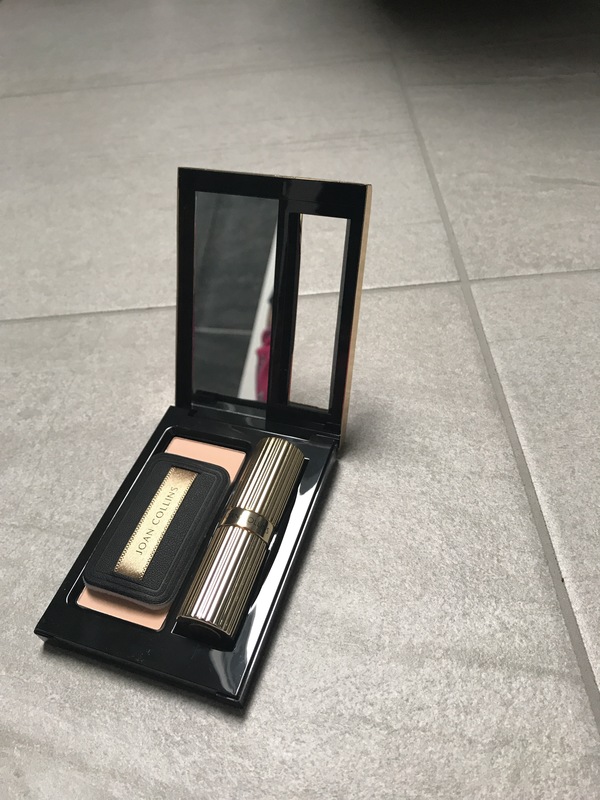 The product feels like a quality item that is both classy and glamourous. The lipstick is conveniently enclosed within the compact meaning it won’t get lost within your bag and keeps it neat and tidy! I like that the lipstick is packaged separately so if you want it’s a completely stand alone product. Meaning if you have a REALLY small bag then you can pop out the lippy and just bring it alone! However the powder is handy and a really lovely addition! Having the little powder puff included means you don’t need to necessarily bring a powder brush with you, it’s such a clever little product! The lippy shade I was kindly sent was the colour ‘sabina’ and the girls at Alex Silver really couldn’t have chosen anything better. This ‘my lips but better’ autumnal, berry shade is my favourite shade of lipstick and one I find myself repurchasing time and time again! 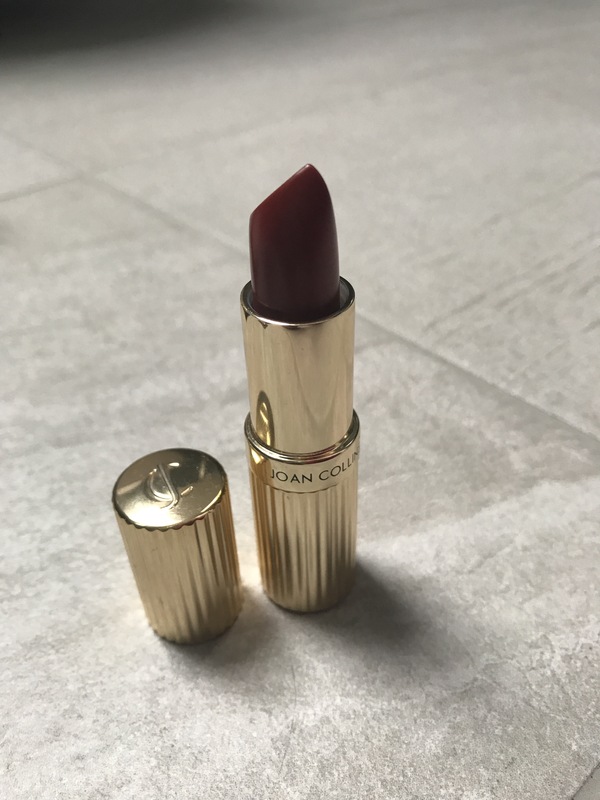 This was my first experience like I said of Joan Collins lipsticks and I was not disappointed. The colour is perfect and the formula is a delight! 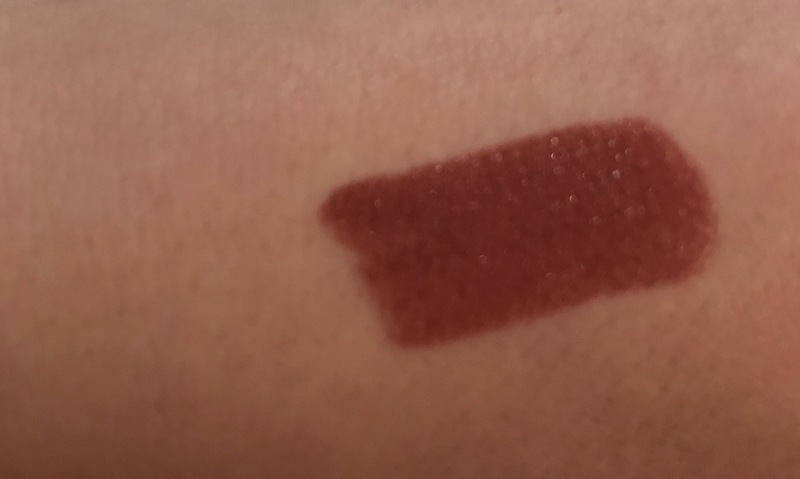 Creamy and moisturising in texture, this lipstick doesn’t feel drying on the lips and wears off gradually without leaving harsh lines even after eating and drinking, super impressed! Really looking forward to trying out more shades of lipstick within this range! 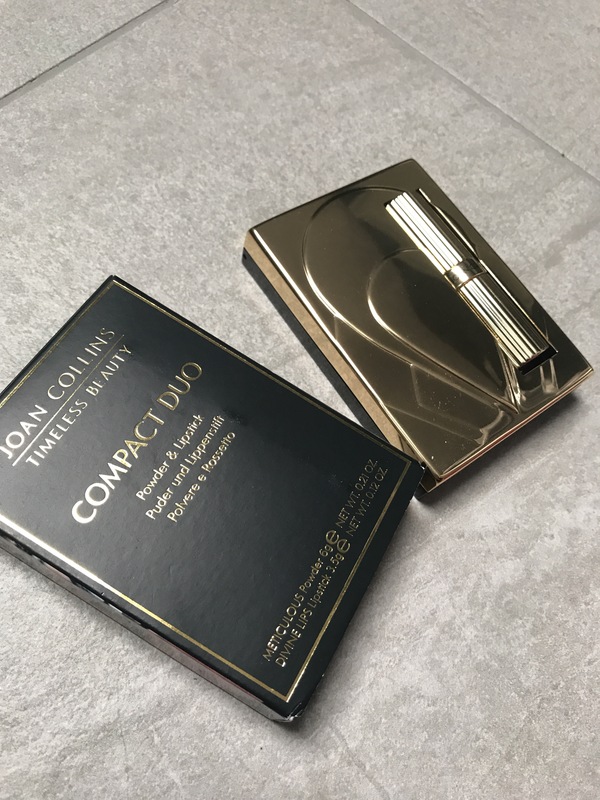 Personally when I heard Joan Collins had a beauty range I kind of had an immediate impression that this would be for someone older than me but I was so wrong! This product is so handy for on the go and stylish for any age due to its classic design. I highly recommend this product for the party season especially! It will definitely be going in my clutch for my work do this xmas!